Business description - E2E Networks is in the business of providing cloud infrastructure in India. The company launched its contract-less computing in India in 2009 and followed this up by launching hourly billed pure SSD (Solid-State-Drive) public cloud and private cloud. Its Cloud Infrastructure has been used by many companies across industries like E-Commerce, Digital Classified, BFSI and whole host of new-age digital businesses. The company claims that its CloudOps platform uses a unique blend of automation delivered via technology combined with human intelligence, to reduce the workload of clients’ in-house DevOps team by freeing them from the worry of managing basic issues related to normal course of business. The Information Security Management system of the company and the Data Center for providing of cloud computing services, Management of information security for managed cloud and infrastructure services, Infrastructure-as-A-Service, Disaster Recovery & Availability Services, Managed storage and Data vaulting services and application hosting services delivered through private, public and hybrid cloud delivery model is ISO/IEC 27001:2013 certified. The company provides its services under the brand name of “E2E”. The company provides its services through Third Party Data Centers situated at Noida, Mumbai and Vellore. 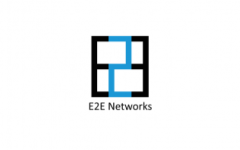 E2E Networks IPO allotment status is now available on Link Intime's website. Click on this link to get allotment status.